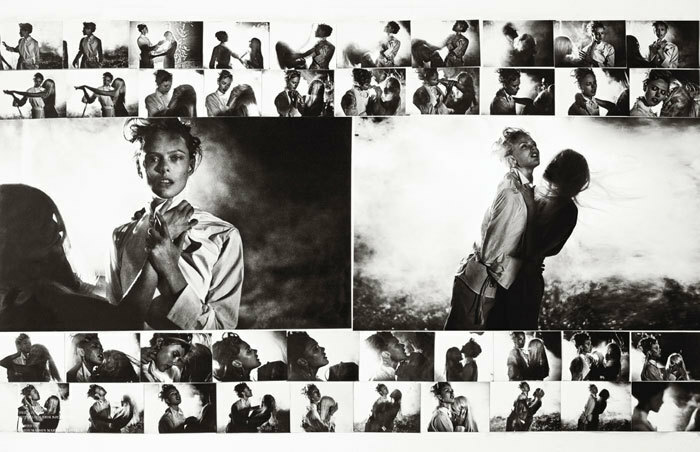 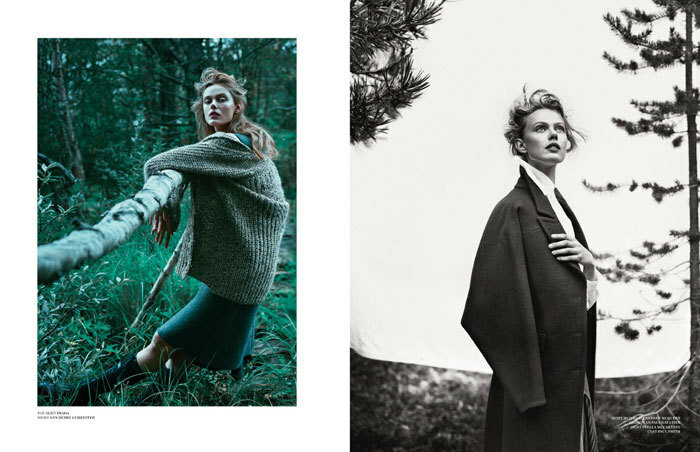 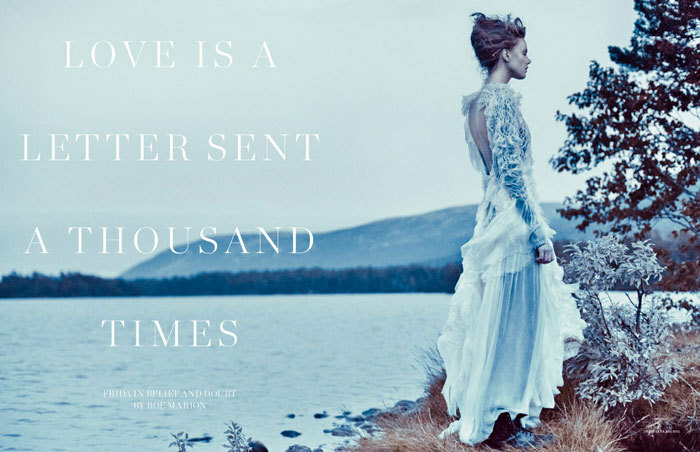 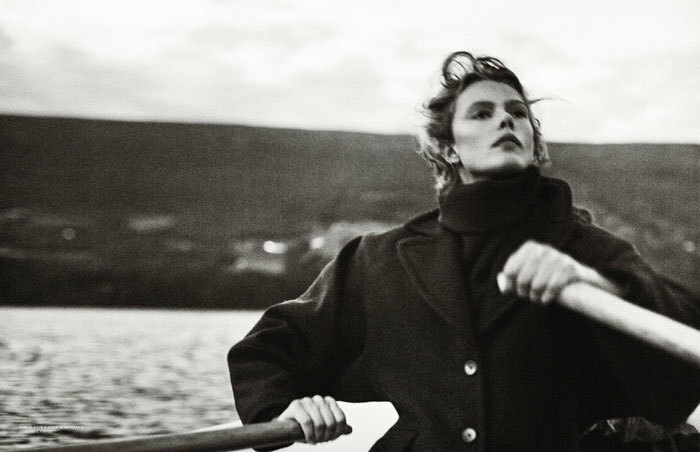 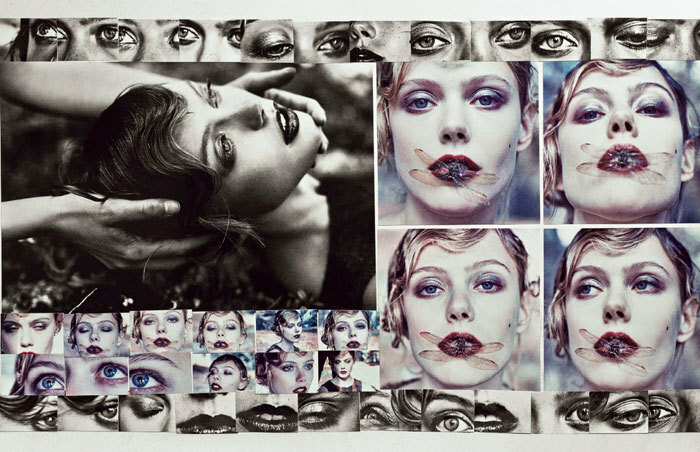 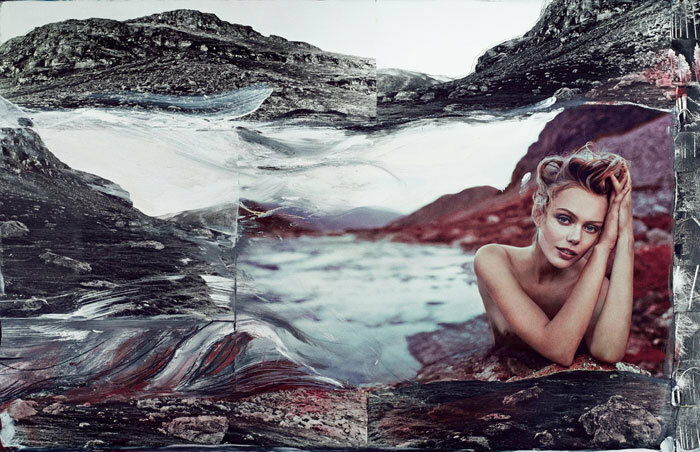 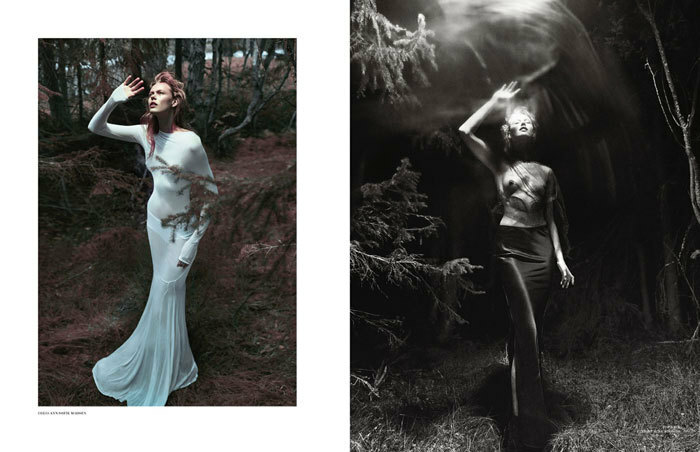 Scandinavia SSAW Magazine and Frida Gustavsson team up for another inspiring fashion moment. 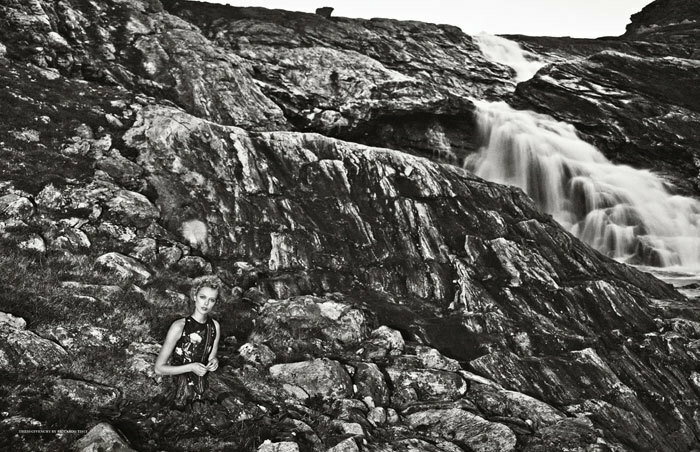 Shot in the mountains of Norway by photography duo Boe Marion with creative direction by Jakob Hysén Hedberg and styling by Oscar Lange, the vibrant images pull you into a lush world that is rustic and refined at the same time. 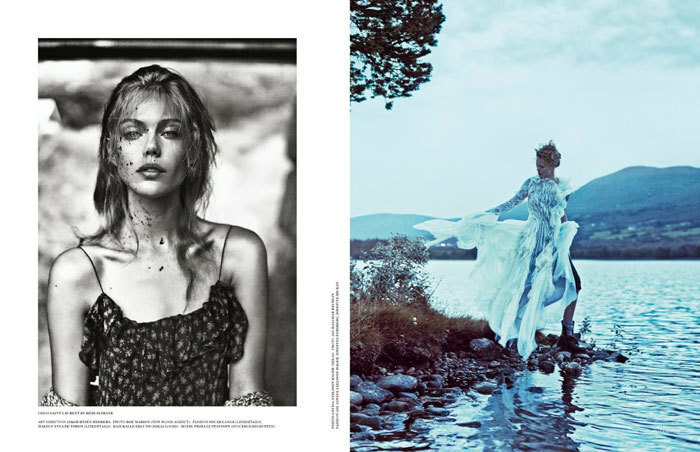 Sporting chunky sweaters, overcoats and the occasional ornate gown Frida looks exquisite and the portraits by Boe Marion with their collage detail and arresting natural backdrop are absolutely spectacular.